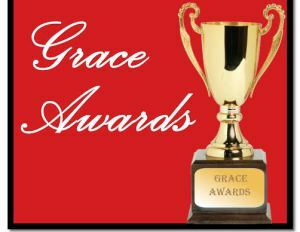 The Grace Awards is now going into its fifth year, having been extremely well received during the last four years. This year we have a line up of stellar judges for our six fiction categories. Debra E. Marvin tries not to run too far from real life but the imagination born out of being an only child has a powerful draw. Besides, the voices in her head tend to agree with all the sensible things she says. Debra likes to write, weed and wander and is blessed to have the best family and friends in the world. She’s thankful each day that God is in control, that He chooses to bless us despite ourselves and that He has a sense of humor. Her work has finaled in the TARA, Great Expectations, Heart of the Rockies, Maggie; twice in the Daphne du Maurier, and recently the category and Overall Winner of the Phoenix Rattler. Not too bad considering she’s trying a mystery mashup of gospel and . . . gothic. Author Paula Rose brings an “average” family into extraordinary situations, brushes with life-size strokes of reality, adding just a touch of humor, and coats with suspense inside Christian fiction. Paula’s research gives readers a panoramic view from law enforcement and lends to character authenticity. She enjoys writing in the romantic suspense, suspense, and mystery genres, but when she’s not writing, Paula Rose is playing amateur photographer. She is a member of the American Christian Fiction Writers (ACFW). Tammy Doherty [Grace Awards Board Member and Lead Judge] is the author of several Christian/Inspy novels, two of which have been on Amazon’s best-selling list. Her first three novels are historical romance with a touch of suspense; the fourth book, SHE’S MINE, is a contemporary romantic suspense set in a small town in central Massachusetts. In addition to being a founding member and lead judge for Grace Awards, she is a member of American Christian Fiction Writers (ACFW) and Edgy Christian Fiction Lovers. Ms. Doherty lives on a small farm in central MA with her husband and two children, where they grow and sell perennial plants. Joy Ross Davis is a retired college English professor with a passion for exploring the unique and unusual mysteries of life. In addition to writing and teaching, she has worked as a travel writer and photographer in Ireland. To date, she has worked with Helping Hands Press to publish five novellas. She has also published a cozy supernatural mystery novel. 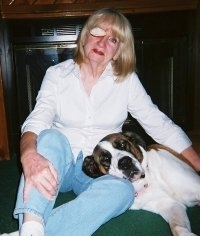 She lives in Alabama with her son and three beloved rescue dogs. Betty Thomason Owens writes romantic comedy, historical fiction, and fantasy-adventure. 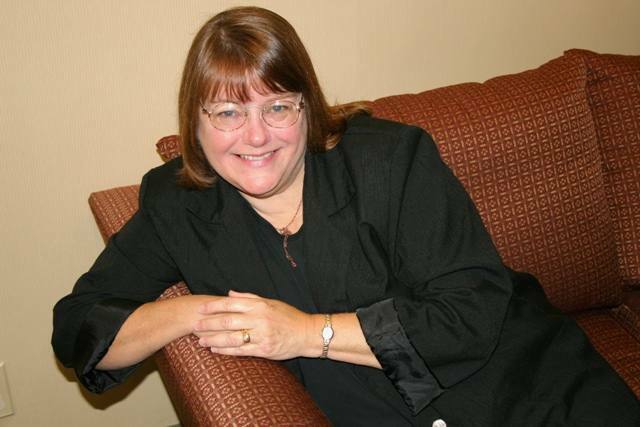 She has contributed hundreds of articles and interviews to various blogs around the Internet and is an active member of American Christian Fiction Writers (ACFW), where she leads a critique group. She’s also a mentor, assisting other writers. She is a co-founder of a blog dedicated to inspiring writers, and a contributing editor for the soon-to-be launched online magazine, Imaginate. Her 20’s era romance, AMELIA’S LEGACY, Book 1, Legacy Series, released October, 2014 (Write Integrity Press). She also writes contemporary stories as a co-author of A Dozen Apologies and its sequel, The Love Boat Bachelor, releasing January 26, 2015. She has two fantasy-adventure novels, THE LADY OF THE HAVEN and A GATHERING OF EAGLES, in a second edition published by Sign of the Whale BooksTM, an imprint of Olivia Kimbrell PressTM. Coming up next, a 1950’s historical novel based on the Book of Ruth, ANNABELLE’S RUTH, Book 1, Ruth Series (Write Integrity Press). Naomi Musch [Grace Awards Board Member and Lead Judge] loves a great story, whether historical or contemporary. She writes from a ramshackle farm in the pristine north woods of Wisconsin, where she lives with her husband and family as epically as God allows. She has worked as an editor, as a staff writer for an EPA award-winning Christian newspaper, and has published dozens of magazine and internet articles for the encouragement of homeschooling families and young writers. Naomi currently serves on the board of directors of the Wisconsin Writers’ Association. She loves engaging with others and always discovering kernels of a new story. She is available for speaking and book groups. 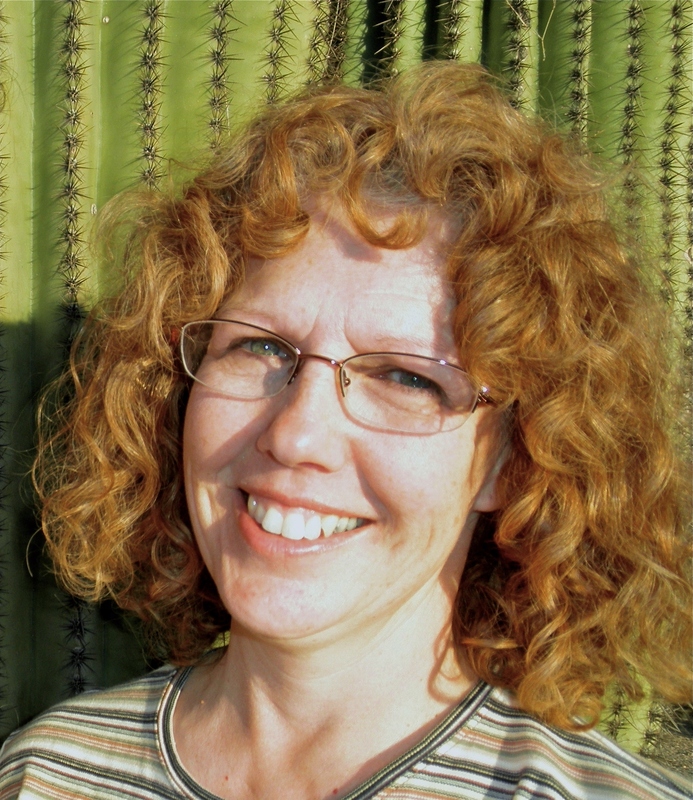 Her eighth novel, THE LOVE COWARD, will release from Desert Breeze Publishing in May 2015. Diverse. If one word can describe Carol McClain, it’s diverse and had been long before diversity became such a ‘PC’ buzz word. She’s a novelist, essayist, and erstwhile poet (Be glad it’s erstwhile and no longer current). She hales from northern New York—so far north, she’s almost Canadian. Eh? 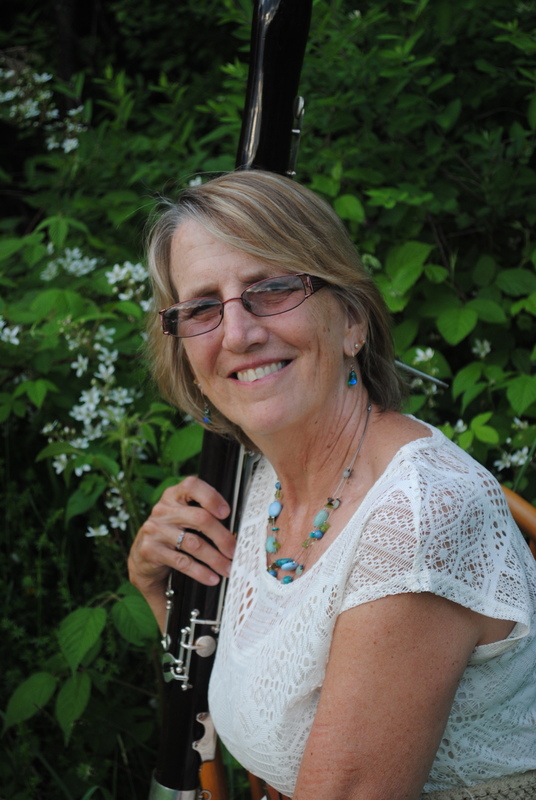 She plays the bassoon, creates stained glass, cross-country skis, and is a former marathoner and high ropes instructor. For more than thirty years, she taught English, and she now teaches Bible studies, and edits for fun. In addition to this, she has served on the North Country Habitat for Humanity board for over ten years. In that capacity, she’s held every position except those having to do with money. She may be able to tell you the definitions sesquipedalian, but simple addition baffles her. She is course coordinator for ACFW. And of course, she writes. She’s completed four novels, with DWF: Divorced White Female being her debut. Peggy Blann Phifer retired from an executive assistant position after twenty-one years in the Electrical Wholesale industry. She came to writing later in life when a prayer she wrote appeared in a two-volume Guideposts Book compilation, ‘Prayers for Every Need,’ in 2000. She self-published her debut novel, TO SEE THE SUN, which released in January 2012. Her writing has appeared in three anthologies in 2014 with Helping Hands Press, with a fourth coming up. A novel she just completed, SOMEHOW, CHRISTMAS WILL COM, released in November 2014, from Elk Lake Publishing.Widowed in October 2012, Peg now makes her home in northern Wisconsin in a home she bought together with her daughter and son-in-law. The three of them share the house with one dog, and one grand-dog. She converted a third of the house into a cozy ‘apartment’ where she spends most of her time writing. Peg has three children, six grandchildren, eleven great-grandchildren, and numerous other grand-dogs and great-grand-dogs. Tracy Krauss [Grace Awards Board Member and Lead Judge] is a multi-published novelist, playwright, and artist with several award winning and Amazon best selling novels, novellas, stage plays, and devotionals in print as well as one illustrated children’s book. She has a Bachelor’s Degree in Education from the U of Sask. and teaches secondary school Art, English and Drama. She and her husband, an ordained pastor, have four grown children, one granddaughter, and have lived in many remote and interesting places in Canada’s far north. They currently reside in Tumbler Ridge, B.C. where Tracy continues to teach, direct, write and pursue all of her creative interests. T.J. Akers wants to be a multi-millionaire when he grows up and give his wealth away to his favorite causes—churches, schools, and animal shelters. Since the millions have been slow in coming, he’s settled for working in a public university as a computer technician, volunteering at church and the local animal shelter, doing honey do projects for his wife, and writing stories to entertain people, especially younger readers.His full-length fiction has been honored by the American Christian Fiction Writers Association as a 2012 First Impressions Finalist, a 2013 Genesis Award finalist, and a 2014 Genesis Award semi-finalist. His short story’ Entertaining Angels’ was a finalist in the 2014 Writers on the Storm contest sponsored by the Texas chapter of the ACFW. His short story ‘Necessary Evil’ has been published in the science fiction anthology No Revolution Too Big, (Helping Hands Press – April 2014). While the short story ‘Elfanticide’, a jointly authored project with Lisa Godfrees, is due out this year in the anthology Tides of Imagination (Skipjack Press). T.J. holds a masters degree in English from Minnesota State University-Mankato and can often be found roaming that university’s library on his lunch break, especially the children’s and young adult sections. Librarians have always been his heroes. He lives with his wife of twenty-nine years in southern Minnesota. Lisa Godfrees is a former forensic scientist. Tired of technical writing, she hung up her lab coat to pen speculative fiction while taking classes at Dallas Theological Seminary. She is the author of several short stories, and her first manuscript was a 2013 Genesis Contest finalist. Lisa works part-time in the Creative Arts Ministry at her church and serves as the President of the newly formed ACFW group in Houston, Texas. Nike Chillemi [Grace Awards Founder and Chair, and Lead Judge] like so many authors, started writing at a very young age. She still has the Crayola, fully illustrated book she penned (colored might be more accurate) as a little girl about her then off-the-chart love of horses. Today, you might call her a crime fictionista. Her passion is crime fiction. She likes her bad guys really bad and her good guys smarter and better. Nike is the founding board member of the Grace Awards and is its Chairman, a reader’s choice awards for excellence in Christian fiction. She was an Inspy Awards 2010 judge in the Suspense/Thriller/Mystery category and a judge in the 2011, 2012, and 2013 Carol Awards in the suspense, mystery, and romantic suspense categories. Her four novel Sanctuary Point series, set in the mid-1940s has won awards and garnered critical acclaim. Her new contemporary whodunit, HARMFUL INTENT released in the spring of 2014 under the auspices of her own publishing company, Crime Fictionista Press and has gained acclaim. Kenneth G. Winters grew up on Long Island, NY. He received his BA from Houghton College, where he met his wife Connie. They live in North Brookfield, MA and have two grown daughters. After seminary, Kenneth served at the Trinitarian Congregational Church in Troy, NH. In 1976, he became the youth pastor at First Congregational Church of North Brookfield, MA. In 1984, he received a commission from the US Navy Chaplain Corps. In the following 20 years, he served with Seabees, Marines, Surface and Submarine fleets. After his retirement from the Navy, he returned to his home church in Massassachusetts as Associate Pastor. Over the span of his career, he founded a teen Christian music group and and two other groups which toured and recorded. He now keeps busy with his denomination, CCCC, the Military Officers Association, and the American Legion. Lanny Smith is a Christian indie author and screenwriter. This will be his second time as a Grace Awards judge. “I really enjoy reading the works of the talented authors associated with the Grace Awards — especially in the Young Adult category.” Lanny is a retired high school teacher, a veteran of the U.S. Air Force and a former “Class B+” surfer. He also works occasionally as a background artist in faith-based films. Lanny has also completed his newest script for a short film called “Gene Therapy.” His debut novel, THE RADICAL RIDE, is an explosive action-thriller. THE RADICAL RIDE centers around an ambitious television news anchor and her surfer boyfriend as they pursue a murderous radical (with ghostly connections) in Los Angeles. With the power of faith, can they stop this terrorist before he strikes again? THE CHRISTMAS BEACON is an inspirational story about faith and the miracles that happen — especially at Christmastime. Scott Weldon makes a desperate bargain with God. If God would heal his mother from terminal cancer, then Scott would publicly honor Him in a very special way. When Scott is pressured to break his end of the bargain, will he still receive his healing from God? Lanny Smith lives in Jacksonville, Florida. Best-selling author, Suzanne D. Williams, is a native Floridian, wife, mother, and photographer. She is the author of both nonfiction and fiction books. She writes a monthly column for Steves-Digicams.com on the subject of digital photography, as well as devotionals and instructional articles for various blogs. She also does graphic design for self-publishing authors. She is co-founder of THE EDGE. Katie Mettner writes inspirational romance from a little house in the Northwoods of Wisconsin. She’s the author of the four part epic family saga, The Sugar Series, Sugar’s Song being runner up for sweet romance in the eFestival of Words awards. Her other romance series, The Northern Lights Series and the Snowberry Holiday Series, are both set in Minnesota and are a mix of new adult and romantic suspense. Katie lives with her soulmate, whom she met online at Thanksgiving, and married in April. Together they share their lives with their three children and two leopard geckos. After suffering an especially bad spill on the bunny hill in 1989 Katie became a below the knee amputee in 2011, giving her the much needed time to pen her first novel, SUGAR;S DANCE. With the release of Sugar’s story Katie discovered the unfilled need for disabled heroes and heroines! Her stories are about empowering people with special circumstances to find the one person who will love them because of their abilities, not their inabilities. Katie has a slight addiction to Twitter and blogging, with a lessening aversion to Pinterest now that she quit trying to make the things she pinned. THE GRACE AWARDS BOARD WILL ANNOUNCE WINNERS IN ALL SIX CATEGORIES ON MAY, 17H.